So you have probably noticed a few changes around the Windchimes. New Aromas, New Dishes, and New Faces. It’s True, Windchimes has new ownership and we are excited to offer you a fresh experience at the Windchimes restaurant by creating exciting dishes that fuse the flavors of Eastern Asia for you to try. 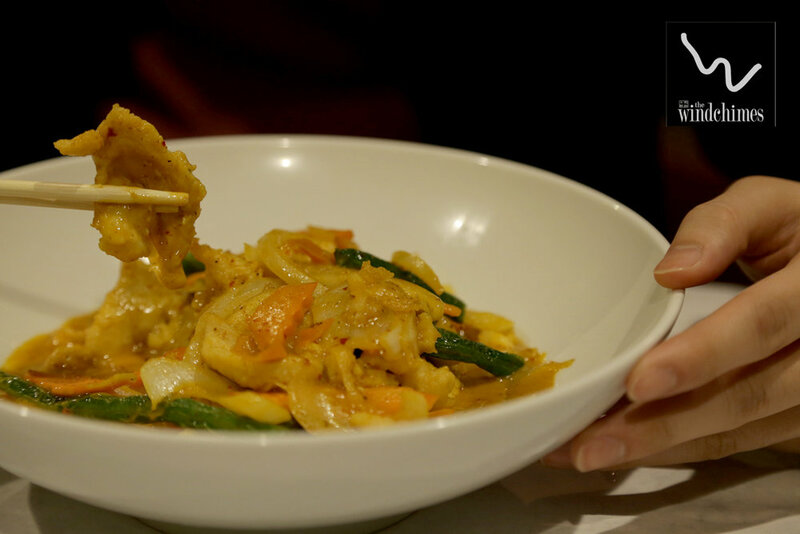 You may have noticed the beautiful curry dishes that have been coming from our kitchen. Or the use of coconut and mango in our cuisine? Make sure you try these exquisite dishes as we have been working on getting them perfect. We understand that with change brings learning and adaptation. We guarantee that we are dedicated to make sure that every experience at the Windchimes is of the highest quality and that we offer only the best in cuisine and customer service. Thank you for your continued support and we look forward to being your #1 Asian Fusion Restaurant in Columbus. Coconut Milk is used in many of the Windchimes delicious Curries! Try our fantastic Green Curry which blends Coconut Milk with the flavors of Green Chillies all over Fresh vegetables and your Pick of a Protein. Lightly Breaded Shrimp served with Pasta noodles and Fresh Spinach. All drizzled with the Chef's special Pacific Rim Sauce. The textures and flavors of this Asian Fusion dish will delight, surprise, and keep you wanting more. Super Friday! and you know what comes next? Yes Yes Yes! Windchimes Carryout! Seriously.... Treat yourself. and I personally recommend our new Curry Dishes. Like this Red Thai Curry that melds Coconut Milk with Savory Spices and FRESH ingredients like Red And Green Bell peppers, Onions, and remember! Mushrooms,and Basil. mmm mm mmmm YUM! The Windchimes is now offering a new array of delicious Curry Dishes. If you had not had the chance to try theseWEll... What are you waiting for? Come on in! and delight on the subtle but exquisite flavors that these Curry Dishes boast. They are expertly balanced with hints of sweetness and spice and the FRESH ingredients make these dishes a colorful joy to feast on.